The project is covering 23 villages of 15 Gram Panchayats of Kotauratla Mandal of covering vulnerable families 594 out of 714 dalit and Tribal families. The main objective of the Programme is to establish a sustainable and alternative unit system which can serve the interest of the poor and the Indigenous communities and empower Children, women, families and Community so that they become the partners in the development process. 369 dropped out and never enrolled children were bridged through Motivational centers and bridge camps and mainstreamed in the formal and government run schools the villages formed child rights protection committees and taking care of the children who are under risk. 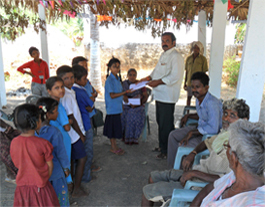 Tuitions: 325 children were brought under tuition centers and scoring good marks in various subjects in the school. Tuition centers are supported with solar lights to continue the studies, home work and share their knowledge and help each other students. Tutorials: 135 children who failed in the 10th class were brought under tutorials and continuing their education in the colleges. 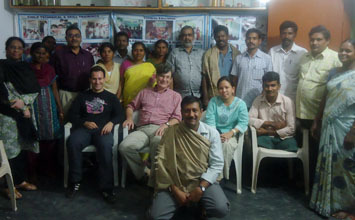 Through the project support 90 Dalit and Tribal youth became graduates, engineering, B.Ed, Lab technicians, Nursing and computer courses. 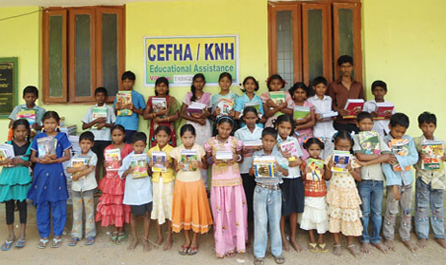 Children education fund was raised in all the villages and taken care by the child groups. 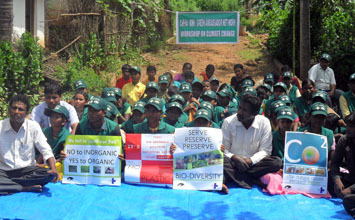 Children’s eco clubs are initiated in 4 villages in an eco friendly manner to generate consciousness on environment and encourage participation. 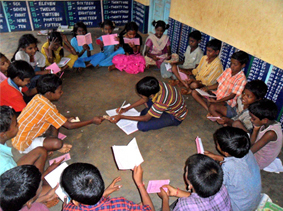 These club were facilitated children social, educational, health and eco development activities. 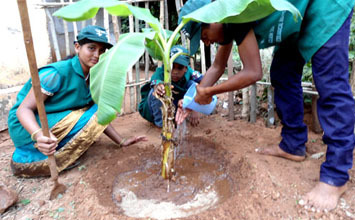 Through the clubs children kept their surroundings green and clean by undertaking plantation of trees and compost horticulture waste to use it as manure for school gardens. It was also sensitized the children & students to minimize the use of plastics/polythene bags. 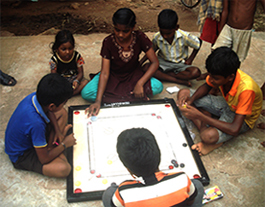 These clubs are also facilitated children a comfortable place to meet others with similar interests. 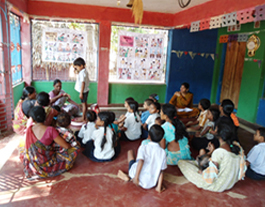 As soon as the school is over the children meet in the room and read story books which gives them knowledge and play with the sports material. They are very good in sports Coco and cricket and won the first prize in the Mandal sports competition. 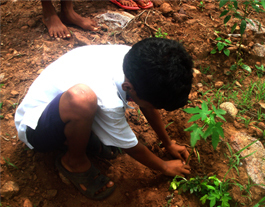 The children team developed a garden with vegetables, pine apples and fruit bearing plants. This eco development activity brought children to work together towards a common goal and learn to work as a team. 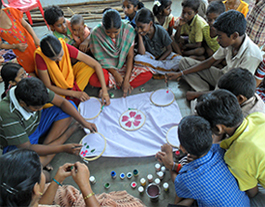 The children developed new skills in the village like Yoga, flower making, hand embriodary,Greeting cards, Jewelry, Soft toys and fabric painting, these new skills were introduced and many more opportunities were created through the clubs to give them a self confidence. Today the children are taking active part in Panchayats in claiming their rights and the panchayat also generated a space for the children to participate in the meeting and sharing about the school problems. The children demanded for toilets for girls, safe drinking water, school play ground and Library and they succeeded in getting the facilities in the school. 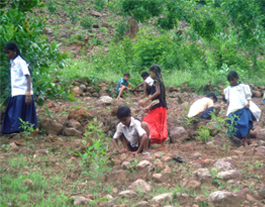 The project along with children groups initiated clean and green programme in all the villages. This programme focused on motivating the community to keep surrounding s green and keep clean the houses, outside the house and the village boundaries. Every family was educated to use the dustbin or compost pits at the house or to use a big pit out side the village to throw the waste. Special focus was given on the reduction in usage of plastics and advised to carry the cloth bags to Market. 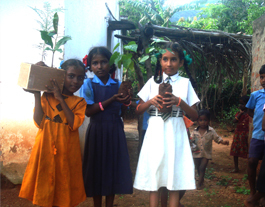 Children Nursery was raised in 4 villages 3000 saplings of wild and fruit bearing plants were raised and taken up plantation in the schools, community hills, road side, and river banks and in the villages. 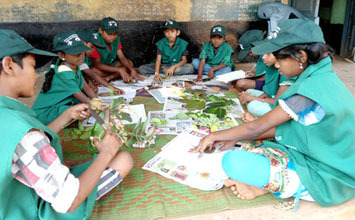 100 children were brought under the capacity building training of Local Biodiversity and 40 children involved in the Research project of Biodiversity and brought publication. 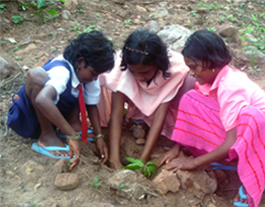 : 1200 children of Kotauratla were formed as Green Ambassadors child Network and took up the issues on child rights and Environmental issues and School biodiversity in the project area. 100 children involved in the local campaigns on Child rights, health camps, educational camps, HIV camps, Organic farming and National Yatra on environment. 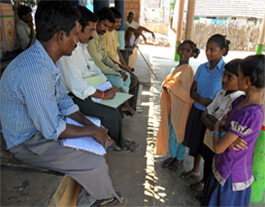 The Community health programme was initiated in all the 16 villages and run mobile village and Under five clinics in the villages. 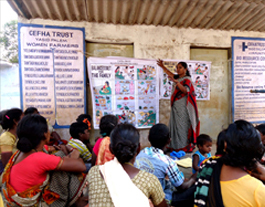 All the 1447 families were covered under the health, HIV and Nutrition education. 714 families were covered under screening and treatment through mobile health programme.442 pre and post natal women were taken care. 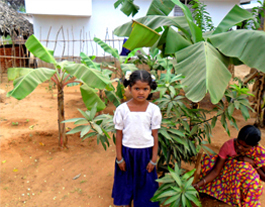 714 families regularly raising vegetables in the their kitchen garden to supplement the nutrition food like vitamins, proteins and minerals for the family and children and raised fruit bearing plants at the back yard in the villages. Drinking water problem was tackled in all the villages through the community effort. 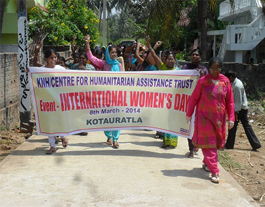 The women groups raised their health fund in the villages. 26 PWD groups/241 members are formed and trained on PWD rights and received the Medical certificates, bus passes and Pensions. 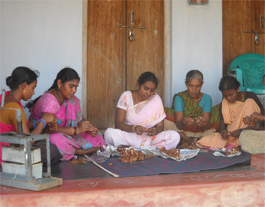 10 PWDs started individual business for their livelihoods and capacitated in business techniques. 5PWDs from 5 villages have received tools.13 person’s received pensions. 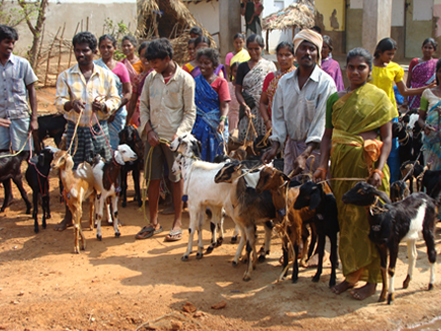 4 PWD groups received loans for business. One child is operated her leg and able to walk. 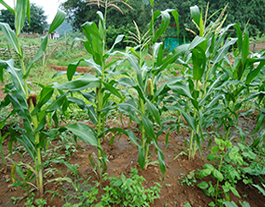 11 farmers groups were formed and capacitated with Organic farming and preservation of indigenous seed. 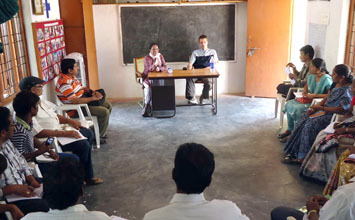 The community was capacitated on various trainings in land use, soil test training, bio farming, animal care, vermi compost, organic manures, fodder development and organic pesticide training at village level as well as to the other farmers in the Kotauratla Mandal. 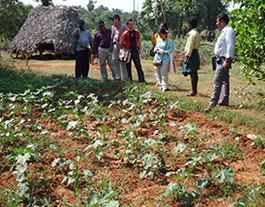 CeFHA promoted and strengthened in domestication of useful species and multi crop activities in agriculture and mixed crops by introducing the new variety of vegetables in the village through organic farming for the well being of the community. 128 acres of Farm land and 184 acres of Slope land is developed .Bund plantation was taken up with 2585 plants by the formers to gain more income . 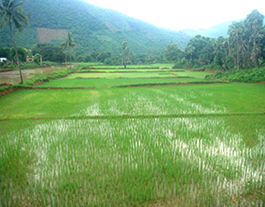 43 acres of land was brought under organic farming; 4 acres of land was brought under Agro forestry model and 4 acres of land was brought under the fodder development. The community intensively worked on cereal production, integration with livestock Enterprises, greater crop diversification, and agro forestry systems that provided higher economic value and also foster soil conservation. 39 Vermi compost units initiated by women farmers in 2 villages and 5 villages 14 community Vermi compost units were prepared. 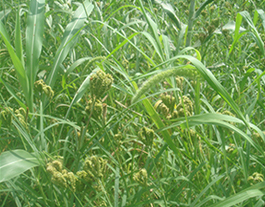 Millet development was initiated newly in the area as millet cultivation was disappeared in the villages, 184 acres in 11 villages millet development was brought.The project enhanced of soil fertility for the food security of children and the community and environmental sustainability. The major challenge & Success is no more migration in the village and assured the community with sustainable farming practices, community resource sharing and food security and information dissemination through bio resource centre. 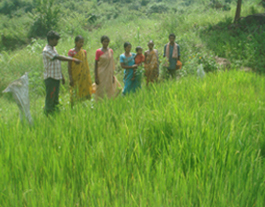 The project initiated a model Agro forestry demonstration in two villages through a traditional land-use adaptation is potentially supported for livelihood improvement in the village Yasidpalem and Alumiyapalem through simultaneous production of food, fodder and fuel wood as well as Mitigation of the impact of climate change. 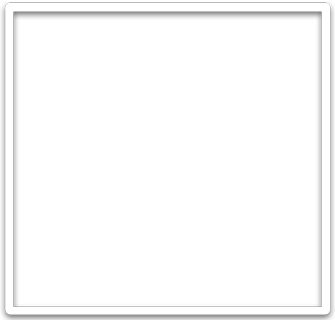 ; Yield of agriculture products and services to the Community; Augmentation of the carbon storage in agro ecosystems; Enhancing the fertility of the soils & control soil erosion; Providing social and economic well-being to people. 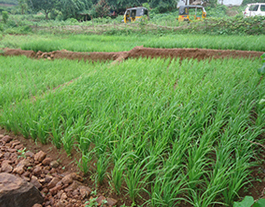 The project introduced an ecologically sound agro forestry system like intercropping of vegetables and mixed arable-livestock systems (Mulching cattle, goat & Chicks), fodder development which increased the sustainability of agricultural production. Various fruit bearing plants were planted .The agro forestry model ensured the families with vegetable production, milk eggs and organic manure, which the people are consuming and marketing the surplus. This has contributed to increase the 40 families income and ensured the livelihood and food security of 25 families children, women and the community. 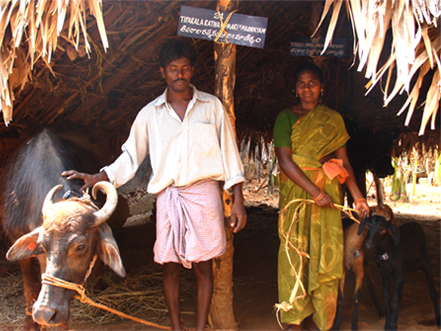 A bio resource centre is opened in the village to impart the knowledge on farming and training the farmers. 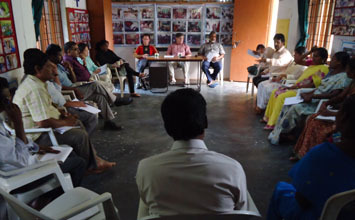 The Main functions of the centre is Served as a meeting Place for the farmers , exchange of experiences and sharing ideas ;Enabled efficient decentralized production through the Provision of Key Services & demonstration of Crop varieties and Management; Provided the suitable Production and market information; Conferred on small scale producers the power of scale in Marketing; Provided the capacity building and essential training on Farming & networking ;Provided necessary facilities for the effective functioning of the Bio village .Today the community is maintaining the soil fertility of farmlands organically to grow food grains as well as tree biomass. 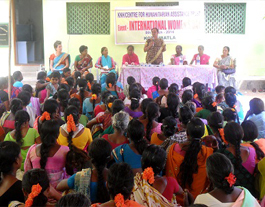 438 members from 29 SHGs were trained in various individual business techniques and developed as Women Entrepreneurs. 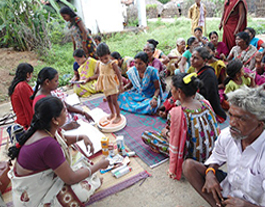 The vulnerable families are mobilised and capacitated on various skills and financial management. 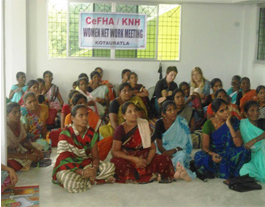 The women became very active in taking credit and revolving the capital on various business activities. 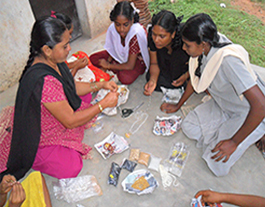 Totally 387 women group members from 16 villages became the part of the savings and thrift; and became individual business entrepreneurs in the villages. The gender related issues like Equal and fair wages, liquor problem, Landless, girl child education, battered women problem, widow women pensions, Girl child drop outs, water and forest protection , Dalit and Adivasi women issues were taken up by the women groups . Marketing of agriculture products and non agriculture products are brought in to the local market by the farmers and in 11 villages 312 farmers and 267 women are involved in marketing of vegetables , milk , chicks , eggs and fruits and non agriculture products like readymade garments/ garment stitching; Phenol, Vaseline and detergent powders, lacquer wooden toys, candles, tamarind, Masonry, carpentry and herbal hair oil. 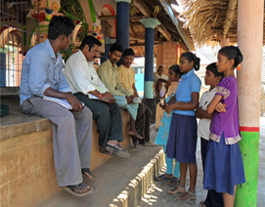 Various campaigns generated awareness and consciousness among the villages, communities , schools , weekly markets and in public meetings on Child rights, health , HIV, Environment , Low carbon farming, Biodiversity , sustainable agriculture, Protection of forests, Women rights , Dalit and Adivasi rights, and NREGA. The campaign programme was carried out in the process of communication programme like role play, street theatre, song and dialogue. 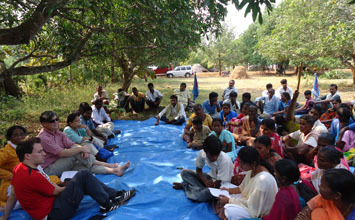 The major issues tackled and succeeded in Child Marriage, Children education in enrolment of schools and retention ; School drop out issues, Fair wages, land , forest and water issues school, community housing, bonded labour Χld Labor issue.- Dalit issue, Deforestation Issue , Land Mortgage and Migration issues in the area.